Foodie Views : Another Atlantic City Failure In The Works? Another Atlantic City Failure In The Works? 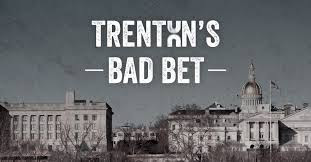 Today I came across a new organization named Trenton's Bad Bet . They are making an attempt to derail any attempt for casino expansion in northern New Jersey, which I like and is better for all. The only group NOT opposed to this is the Iron Workers who will gain by building the doomed casinos. A similar posting appears on my Facebook page.